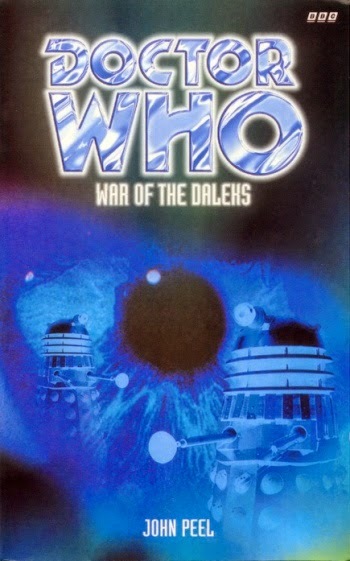 Doctor Who: Looking Back At WAR OF THE DALEKS | Warped Factor - Words in the Key of Geek. Characterization is an overall plus of the novel, from its various Thal characters to Davros and even the Daleks. John Peel's take on both the eighth Doctor and Sam are the big disappointment of the novel's characters, as Peel, as he had with Timewyrm: Gensys, effectively makes them into bog standard Doctor and Companion, though given how little he had to work with I find myself more forgiving than I might me. Overall though, Peel grounds the story in decent characters (even if not in the best of situations). The novel also has two other essential elements of any good Doctor Who story: pacing and morality. For the vast majority there is excellent pacing, though there are moments when the novel practically grinds to a halt (more on that later though). There is also the morality sitting at the heart of the novels first half involving the Thals and what they want Davros for. This is arguably the finest part of War of the Daleks and it's a shame that it's so overshadowed by the novels downsides. And now for the biggest problems of the novel: continuity references and (especially) chapter eight. If ever Doctor Who fans could give an award for way too many continuity references in any single Doctor Who story I feel very certain that War of the Daleks would win hands down. Not only are there references to every single Dalek TV story, but to the 1960's comic stories as well, all to the point of annoyance. Peel also felt the need to put "interludes" between the various parts of the story which show humans, Draconians and Mechanoids fighting the Daleks. They serve no story purpose (that I could find anyway) and bring the novel to a halt. Yet these are mere appetizers (for lack of a better word) for the biggest problem of the novel: chapter eight aka THE RECON. If there is any reason that this novel is as controversial as it was, is, and is likely to remain, it is chapter eight. Apparently at the insistence of Terry Nation, Peel decided that he would, in the space of a single chapter, bring the entire novel to a halt for the purpose of rewriting the entire history of the Daleks! From Destiny of the Daleks to Remembrance of the Daleks completely and totally. 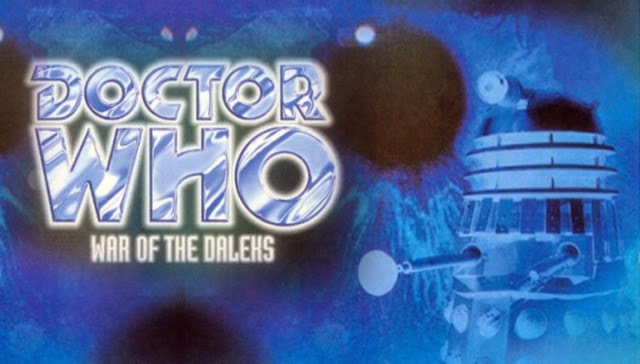 Unlike recons of the past, like Genesis of the Daleks or Lungbarrow, the recon at the heart of War of the Daleks feels unnecessary and it is jarring to read. Sadly, even in a charitable state of mind, it is next to impossible to look past the slow moving and unnecessary chapter that brings down the overall value of the novel.